Sudden death of an infant or young child, which is unexpected by history, and in which a thorough post mortem examination fails to demonstrate an adequate cause of death. Putting infants to bed in the supine position on a firm mattress, preferably with a pacifier and in a shared room (but in a separate bed). Prone and side sleeping, overheating, bed sharing, soft bedding, and smoking by mothers during pregnancy or around infants should be avoided. 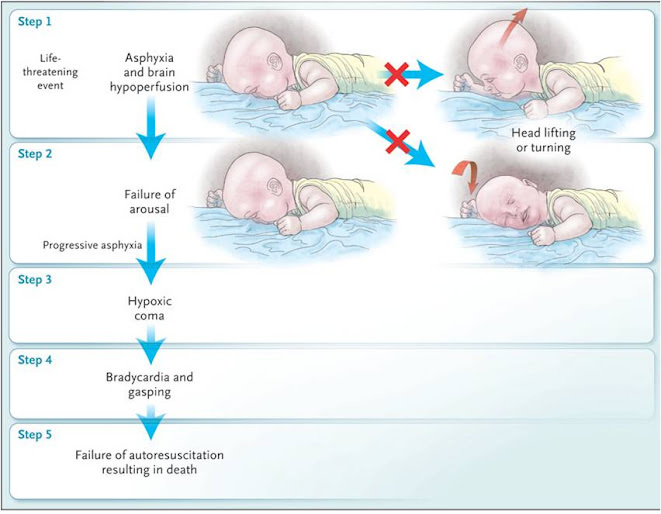 Home cardio-respiratory monitoring of apnea and bradycardia is not recommended because it has not been shown to prevent SIDS.